Whether playing in a football stadium to 30,000 people in France or in an intimate festival in Mississippi, Téada manage to connect with their audience and capture the humour, spontaneity, historic resonances, and timeless energy that Irish music evokes. 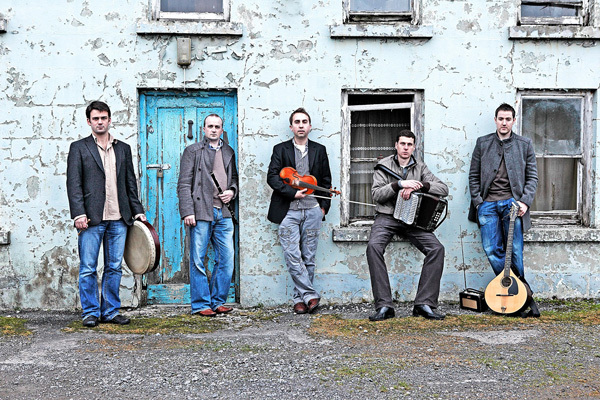 One of Ireland's leading traditional bands, Téada has toured extensively since 2001 performing in theatres and festivals all over Europe, the US, Canada, as well as Australia, the Middle East, Malaysia, Mexico, Russia, and Africa. Interesting and playful arrangements of various types of tunes in the repertoire has been one of Téada's musical signatures. The band's varied sound draws on the inspiring early recordings of Sligo emigrants who recorded in America in the 1920s era, while also engaging with new compositions by leading traditional composers. In 2012, the band added West Kerry singing legend Séamus Begley to the ranks, bringing a strong stage presence and an inter-generational aspect that has gone down a storm on tour. September 2013 brings a new album 'Ainneoin na stoirme / In spite of the storm' on the Gael Linn label.